In the late 1980s and early 1990s the Government had an idea for regenerating deprived areas of the country by establishing Garden Festivals every couple of years. In 1988 there was one in Glasgow, in 1990 another was held in Gateshead and in 1992 South Wales was chosen with a festival in Ebbw Vale. The site chosen was a former steel works and the project was started in 1989, clearing the ground and landscaping it for the Garden festival. 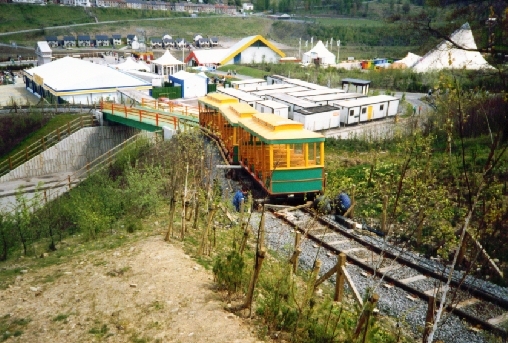 The Festival itself was open from May 1st to October 4th 1992. Among the displays was a hill farm, appropriately set on the top of a steep hill. 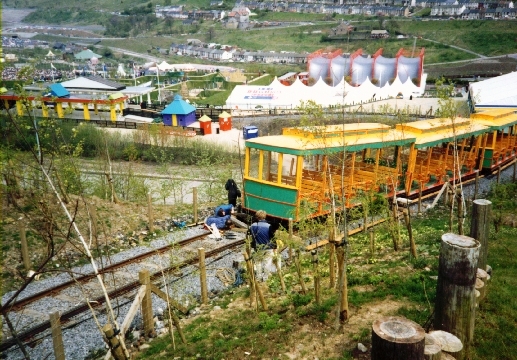 To allow easy access a funicular was built to connect the lower part of the festival with the hill farm. 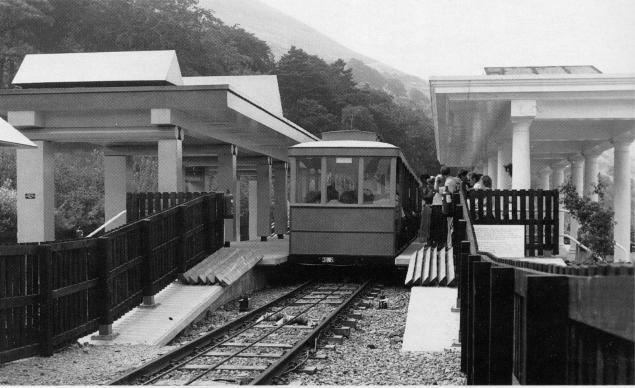 It was also designed to give good views across the whole festival site, so it was built in an 'S' shape, unusual for passenger carrying funiculars. 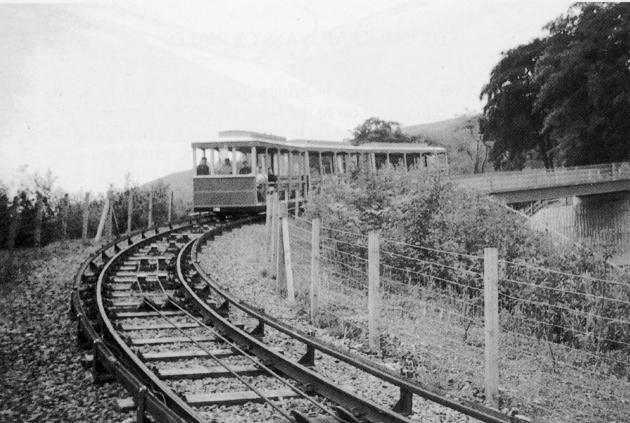 The track shape let passengers from both sides of the carriages have good views across the site. The tightest radius was 33 metres. Depending on the source chosen the line was 920 metres long in the usual style of single track with a central passing loop. The vertical rise was 72 metres an average of 1 in 11 (9 per cent) with a steepest section at the lower end of 1 in 5 (20 per cent). 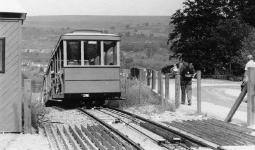 The terminal stations were built on the level and the gradient eased considerably at the passing loop, where there was another stop. The track gauge was 3ft 6in. 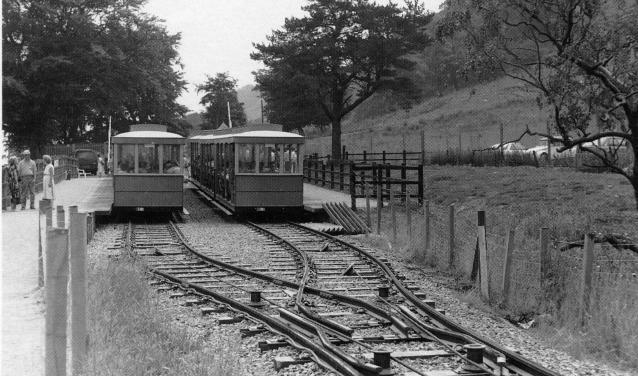 The points on the passing loop had no moving parts. The carriages had double flanged wheels on the outer side, with no flanges on the inner wheels. The funicular was built by WGH Transportation Engineering of Old Edlington, near Doncaster. The two trains each consisted of three cars eight metres long. 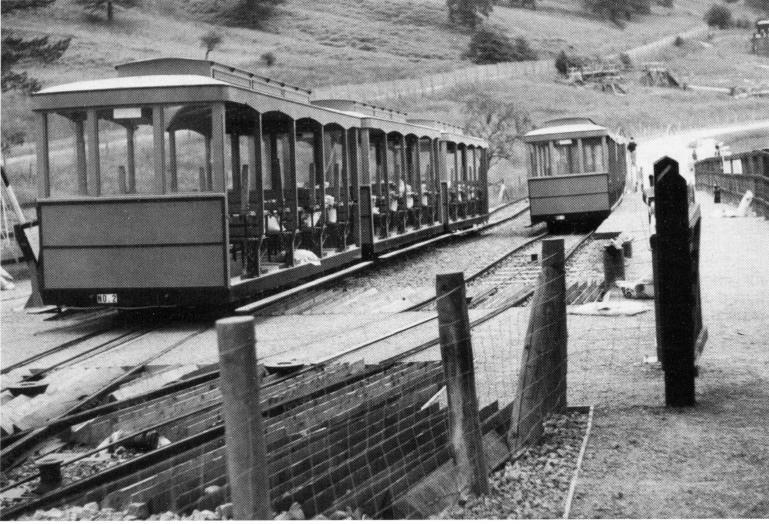 Each train was able to carry 92 passengers and the journey time was about 4.5 minutes. The winding house was situated below the lower station. There was an interesting feature. 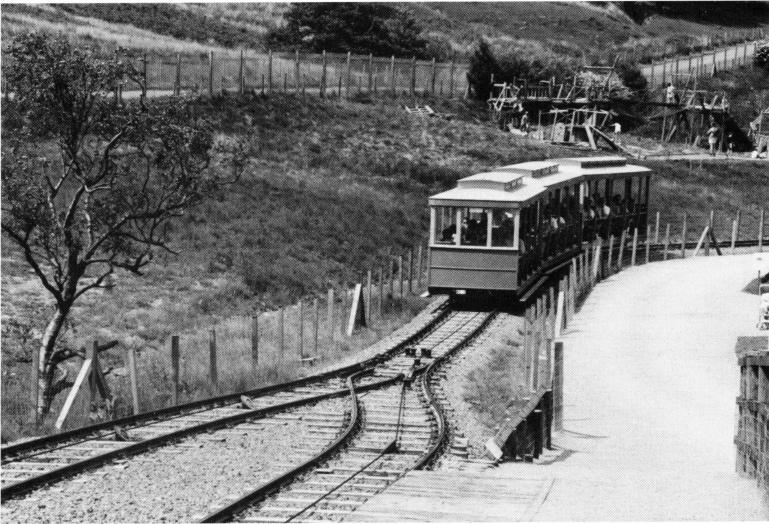 When the upper car was full and the funicular could work by gravity, electricity would be generated and fed back into the Garden Festival supply. The winding house was unmanned. Control of the system rested with the driver of the downhill car. The driver operated a radio control in the car, which transmitted the commands to the winding house. The funicular was passed by the inspectors on 22nd April 1992. It operated throughout the festival, though lost some running days in May due to technical problems. On 8th June the descending car derailed on the bottom curve. 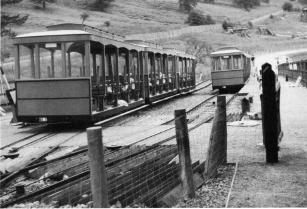 A guide rail was fitted and each car had four vertical rollers attached to the underframe. Service resumed on 28th June. At the end of the festival the funicular was closed and offered for sale at �0,000 (the original cost was �0,00). 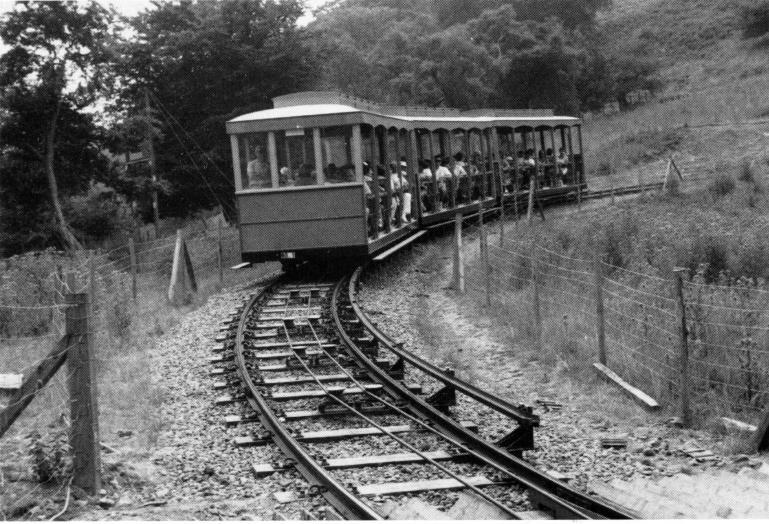 I did not hear of any sale and assume that the funicular was scrapped when the site was regenerated as a park. Gradient 1:5* Track Gauge 3'6"